Like a cancer metastasizing throughout the body, The Mirror’s July 8 story saying Daniel Craig is definitely returning as James Bond is spreading through the media. Various outlets, including the Los Angeles Times, Fox News and Esquire have summarized the Mirror story. However, The Mirror’s original and the stories based on it have mostly overlooked some key facts. Very important facts. Here are some of them. There’s nobody to pay Daniel Craig — yet. The Mirror & Co. depict Eon Productions boss Barbara Broccoli as having a firm lock on his services. Problem: Eon doesn’t pay the bills of a Bond movie. The studio or studios involved do. Metro-Goldwyn-Mayer is Bond’s home studio. But it can’t release its own movies. It needs a studio partner to co-finance and distribute MGM films. And, for the moment, there is no Bond 25 distributor. Maybe MGM reaches an agreement later this year. Maybe a commitment from Craig (even a verbal commitment) helps that process. But until it happens, nobody is available to actually pay Daniel Craig if he, indeed, is coming back. There’s no director yet. You can’t have a movie without a director calling the shots. Maybe Bond 25 will get a director later this year. But until it does, not much is going to happen. There’s no script yet. 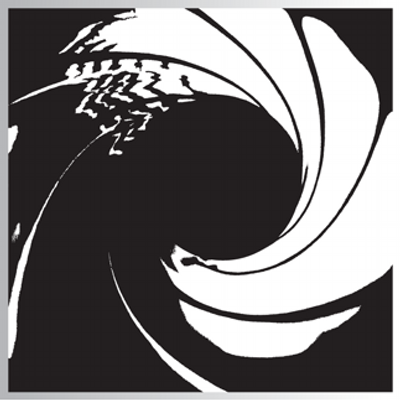 Neal Purvis and Robert Wade were hired to come up with a story, according to the Daily Mail’s Baz Bamigboye, who has had a number of 007 scripts proven correct this decade. The duo have had more than four months (and perhaps longer) to work up a story. But until a director comes on board, things can only go so far. Directors love to tweak story elements, etc. And that process can’t begin until you have a director, etc. What’s this John Logan reference? The Mirror says John Logan, who worked on Skyfall and SPECTRE, is working on Bond 25. There’s no evidence that’s the case. If it really is true, that would be a big turnaround. 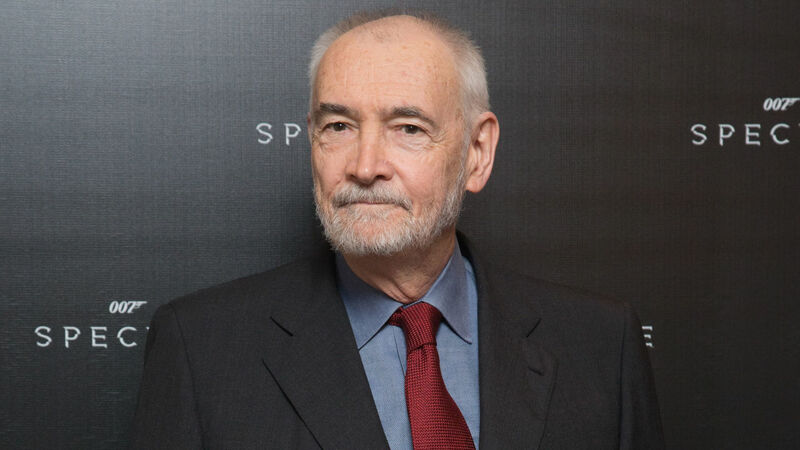 Thanks to the Sony hacks of 2014 (Sony Pictures released the last four 007 films), it’s known that Eon was unhappy with Logan’s first draft for SPECTRE, something that eventually led to the return of Purvis and Wade. If (and that’s a HUGE if) Logan really is involved with Bond 25 that’s a major change. But, of course, you’d have to be familiar with the history to make note of that. Has anything changed the past three months? In April, Page Six, the gossip operation of the New York Post also said Barbara Broccoli pretty much had Daniel Craig committed. Has something actually changed since that report? The Page Six story got nowhere near the attention the Mirror has. Regardless, it’s a notable piece of background. Daniel Craig will play James Bond for a fifth time, The Mirror said. “Bond producer Barbara Broccoli is said to have secured Craig – and we can reveal she is ‘determined’ that superstar singer Adele will record the theme tune,” the tabloid said. 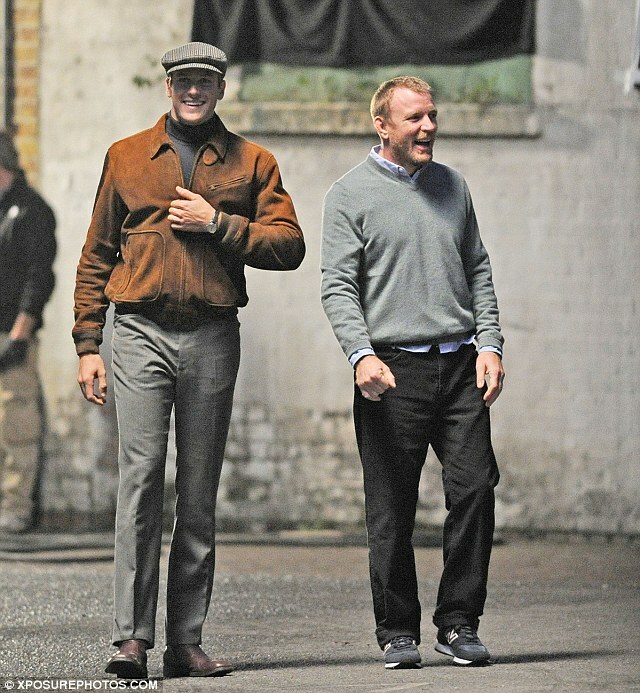 The Daily Mail’s Baz Bamigboye reported in March that Neal Purvis and Robert Wade were hired to devise a Bond 25 story. Bamigboye has a track record of stories being proven correct. Moreover, Purvis and Wade were brought back to revise SPECTRE drafts Logan and written. The Mirrror is the first outlet to say Logan is involved with Bond 25. –Adele injured her vocal cords and canceled the last two shows on a world tour. Is this the best time to entice her to sing a Bond title song? –There’s still no distributor for Bond 25 yet. –Minor point but the story lists Craig’s age as 48 when it’s 49. What is Wilson’s role in the 007 franchise? Over the past year, a narrative has taken hold that it’s Barbara Broccoli who calls the shots for the James Bond franchise. Period. Full stop. Perhaps the person most responsible for shaping that narrative is Sam Mendes, director of the past two 007 films, Skyfall and SPECTRE. The comments were picked up by the likes of Vanity Fair and the BBC, among others. As a result, there’s the perception that Broccoli, 56, is the driving force of 007 land. Meanwhile, her half-brother, Michael G. Wilson, 74, doesn’t get mentioned much, even though the half-siblings are supposed to be the co-bosses of Eon. 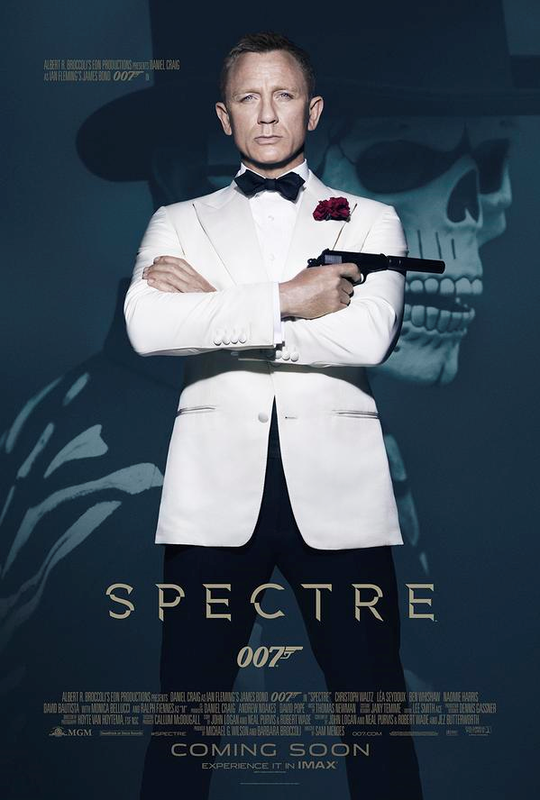 In December 2014, when it was announced SPECTRE would be the title of Bond 24, Broccoli was present with Mendes but Wilson wasn’t. However, when the production shifted to Mexico in early 2015, Wilson was involved in publicity. It’s hard to tell how accurate, or significant, the Mirror story is. It’s simply interesting that Wilson is being depicted as a major decision maker after the way Mendes made it sound as if nobody’s opinion except Broccoli’s matters. 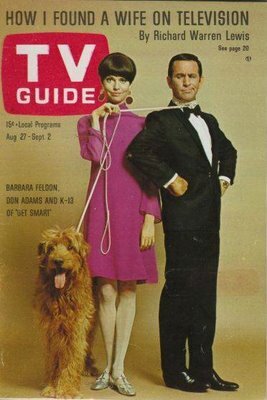 Of late, stories about the 007 franchise discuss Broccoli but don’t get around to Wilson. Wilson, since the 1990s, have periodically complained about the grind of making James Bond movies. That’s something his step father, Albert R. Broccoli, never said publicly. Wilson has spent longer than anybody else working on the 007 franchise, even co-founder Cubby Broccoli. If Wilson were to retire tomorrow, nobody could argue that he wasn’t a major figure in 007 movies. Neither Wilson nor Barbara Broccoli revel in publicizing Bond movies the way Cubby Broccoli did. Eon is a very private outfit, not wanting to open the curtain very much on its operations. Still, the Mirror story (whether it was accurate or not) was a reminder that Wilson is a big wheel in the 007 franchise. It would be interesting to know whether Mendes is indeed correct about Barbara Broccoli’s 007 status or if reality is more complicated. Guy Ritchie is in talks to direct Bond 25, the tabloid Mirror said in a story this weekend. The director purportedly had meetings with Michael G. Wilson, co-boss of Eon Productions, according to the tabloid. As you might expect, the only person quoted isn’t identified. The Mirror first raised the notion of Ritchie directing Bond 25 in a December story. What success? The $75 million production had worldwide box office of less than $110 million. Does Eon check out directors of flops as future Bond directors? This blog had a positive review of the U.N.C.L.E. movie. But it was still a flop at the box office. –The story depicts Michael G. Wilson as being actively involved. Given his status at Eon, that should be expected. However, over the past year, Barbara Broccoli has been depicted (by Sam Mendes, among others) as the driving force at Eon. Wilson hardly gets mentioned any more. The Mirror story is a deviation from a story line that has taken hold for some time now. Wilson is concerned with the vision of Bond 25? Again, that shouldn’t be a surprise. 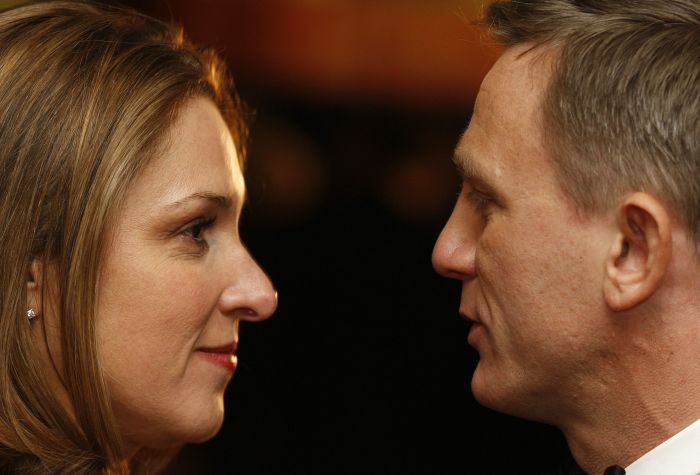 However, supposedly, Barbara Broccoli deals with vision and is the only one who selects Bond actors.